The Japanese Food Report :: International Portfolio :: PRO IT Service S.R.L. - Choose a professional and accessible service for your online image! Harris Salat, a New York journalist focusing mainly on the Japanese food culture was referred to me by "a few important people on this industry" for developing a Japanese food project using movable type. 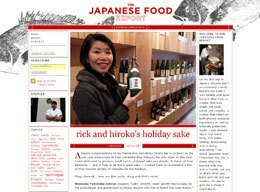 Thanks to what Harris Salat called "few important people on this industry" that referred him to me, I had the pleasure to work on developing his movable type based Japanese Food Report Web site project. The job involved full development, from coding the interface in web site format, to movable type development and hosting. I wrote a few lines about this project on the blog, way back in October 2007. I hope you're well. I've heard nice things about you and your work from a number of folks, including one of the principals of Six Apart. Please let me know if you're interested. I'd like to build it on the new MT release. If you can help me, please let me know what questions I need to answer so you can send me a quote and a timeframe. Since I really enjoy my work, I've immediately gave a positive answer to Harris and actually divided for him the job we should complete for making this project possible. I've started with the necessity to code his reference design (which at that time wasn't yet completed) in Web page format using xhtml v1.0 transitional and css v2.1. Then, I've mentioned to Harris the layout integration within movable type, as well as the development of a couple of movable type extra features which were not covered on the movable type default capabilities. Another important aspect of the work was the hosting service and so I've kindly recommended him to host together under our facilities from Pair Networks Inc.
Last but not least, I've tried to offer Harris a short summary about what the project entitles, that the project will be organized in a way which to be very easy for him to manage and that Google and the other search engines will crawl his project in less than 3 days, guaranteed. Worth mentioning is also that the site has been complemented with a couple of search engine optimization (SEO) features, among which I would mention: tags and tag cloud, pinging, google sitemap and a special SEO facility. We also dedicated a special attention to the print out version and we've coded it differently from the screen version so that when a visitor prints something, the print out comes without useless components (such as the sidebars and more). The tracking method implemented is Google Analytics. 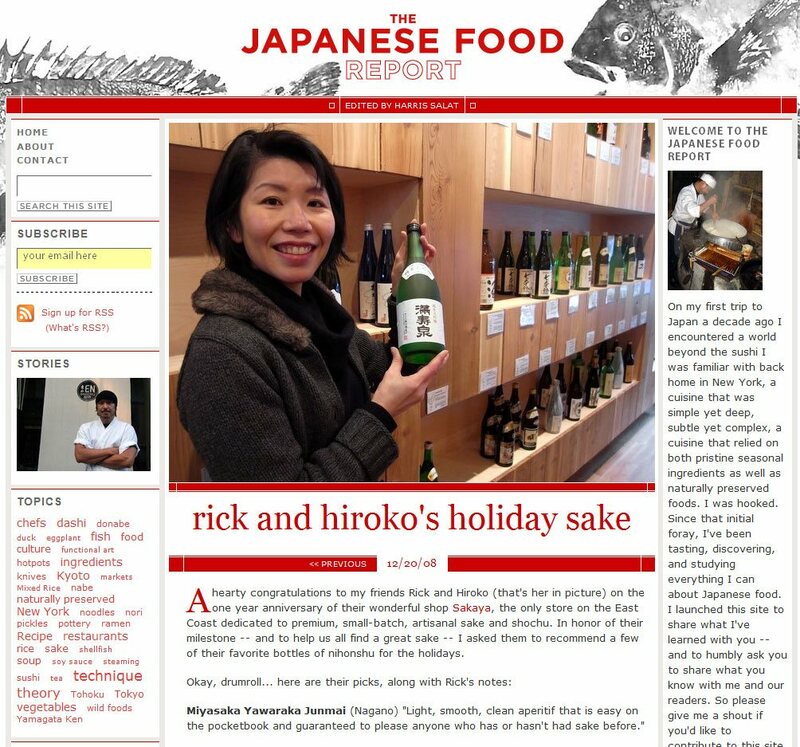 Check out the Japanese Food Report home page and individual article screen captures. For seeing the full site version, go to www.japanesefoodreport.com. Contracting from Harris Salat, New York, U.S.A.